Looking for an exciting and informative experience? Why not visit Ireland’s largest river hydroelectric scheme? Following the phenomenal interest in last year’s tours, Ardnacrusha Power Station will again open this summer. Just a 40 minute drive from Adare. Looking for an exciting and informative experience? 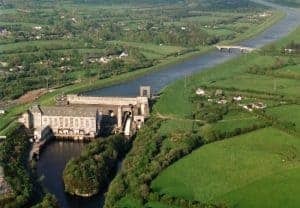 Why not visit Ireland’s largest river hydroelectric scheme? Following the phenomenal interest in last year’s tours, Ardnacrusha Power Station will again open this summer. We are inviting school groups and the public to visit and explore one of Ireland’s greatest engineering developments at Ardnacrusha Power Station in Co Clare. Public tours are available from July 1st to September 13th 2019.